Atrimax contains ingredients to nourish every cell in your body. Atrimax provides vitamins which are vital to many biochemical reactions, including the regulation of metabolism and conversion of foods to energy. It may assist blood circulation, aid in the repair of skin tissue, wound healing, and support healthy eye function. 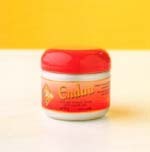 It may also help in the relief and treatment of skin problems. Atrimax assists in the maintenance and improvement of general well-being. Promotes elimination of body waste. The busy lives so many people lead today can easily throw normal routines out of order. A hectic working schedule, a change in lifestyle or family circumstances, illness, even a holiday, can affect regularity. Common causes of constipation include: lack of exercise, anxiety, advancing age and the taking of some drugs such as anti-depressants and pain killers. A good diet, regular exercise and when necessary, extra help in the way of supplements, will ensure you keep regular and healthy. 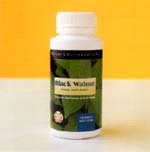 Black Walnut can be most beneficial in establishing regularity and eliminating body waste. The skin is our largest organ and must be well nourished to stay healthy. 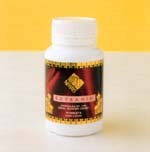 It needs good circulation and a ready supply of nutrients to maintain its tone and elasticity. 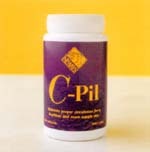 Neways C-Pil helps to assist blood flow and maintain proper circulation for a healthier skin care routine. Optimum benefit can be gained when C-Pil is used in conjunction with Skinny Dip, a cosmetic cream formulated to smooth the appearance of bulges and irregularities in the skin, especially around the hip and thigh areas. The herbalists and elders of the Ojibway tribe of Canada developed a herbal tea remedy through their wisdom and understanding of nature. Rene Caisse, working as a nursing sister in the early 1900's observed some remarkable results in a patient she was tending, which were attributed to the administration of this ancient remedy. 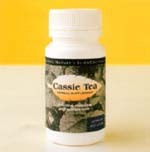 Rene Caisse made the remedy available in Canada in the form of a herbal beverage known as Essiac. Neways Cassie Team, now in convenient tablet form, replicates this age old recipe. A healthy diet is the foundation of good nutrition and in recent years, although the western diet has improved, deficiencies in certain minerals are still relatively common. 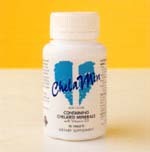 Taking a mineral supplement, such as ChelaMin, can service as "nutritional insurance", boosting your essential nutrient intake above the merely "adequate" level. Ideal for people who want to improve their chances of preventing such a debilitating disease as osteoporosis by taking increased levels of particular minerals, in this case calcium. 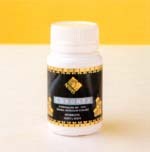 ChelaMin also contains Vitamin D, essential to assist the absorption of calcium. 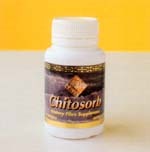 Chitosorb is a product comprised of chitosan. Chitosan, as a fibre, comes from the natural source of material that insects and shellfish produce for their exo-skeletons. Most fibres absorb fat and bile acids to a limited extent. The chitosan in Neways Chitosorb has been custom processed to have a better natural, electric, binding affinity in the digestive tract than other fibres. The binding occurs when positively charged chitosan binds with negatively charged fat and bile acids, preventing them from being absorbed into the bloodstream. Chitosorb can actually absorb fat and bile by 7-8 times its weight in the digestive tract, which is then safely eliminated from the body. Especially for men. Coronex, a potent formula designed to supplement your system with dynamic nutrients, not only for the optimum functioning of your entire body, but also for full enjoyment of your challenging lifestyle! Coronex offers men everywhere the opportunity to rekindle feelings they may not have experienced since their youth. Enhance feelings of health and well-being while easing your worries with Coronex, a powerful men's formula designed to help you keep both your professional life and your personal life in tip-top shape ... day and night. 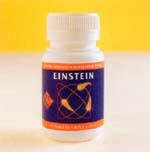 Einstein combines traditional Chinese and Ayurvedic herbs with "state of the art" technology to act as a powerful, alternative tonic and to help you achieve your greatest potential. As such it has the ability to gradually restore normal function, tone and capacity. It also assists blood circulation, protecting and maintaining the health of capillaries while assisting blood flow to the peripheral areas of the body. Help restore your vital essence with Emperor's Formula. It is a combination of powerful herbs in an ancient Chinese formulation by Li Shi Zhen who practiced during the Ming Dynasty of historic China. In Chinese medicine terminology, the herbs contained in this formula invigorate Chi, elevate Yang and nourish Yin. They specifically affect the Yin aspect of Chi, to replenish the vital essence used in everyday biological processes. 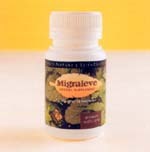 This enhances the ability to accommodate the stresses affecting the body. Neways' researchers have formulated Endau, an exclusive formula containing herbs which work together to achieve excellent results. Herbal remedies can do more than just dull the pain of the symptoms of arthritis. Men and women both suffer from this condition, characterised by stiffness and painful swelling of the joints and associated tissue. The female reproductive system also has common disorders such as pre-menstrual syndrome (PMS) and period pain. Sufferers of these disorders often experience such symptoms as irritability, abdominal bloating, muscular cramp, sweet cravings, night and hot flushes. Endau can help. Stress, anxiety and tension seem to be common characteristics of our lives today. The most important way to control stress is to practice preventative medicine. Find out what may be causing the stress in your life and make changes. Set seasonable goals for yourself. Herbs can play a fundamental role in any stress management program. Neways has created Extramin, a health care formula with herbs which help relieve nervous tension, stress and mild anxiety. Women have unique nutritional needs and if left unaddressed, these nutritional deficiencies could diminish the co-ordinated functioning of key biological systems and upset a woman's balance, ultimately interfering with her work, play and relationships. Due to the cyclical nutrient drain of menstruation and other strenuous physiological changes women's bodies undergo throughout their lives, they are presented with unique challenges to building and maintaining a proper balance of vitamins and minerals. Femmex supplements your diet with some of the special nutrients your body needs to help you achieve a positive mental attitude throughout Mother Nature's ups and downs. Maintain a healthy digestive function and help relieve the symptoms of gout. Good digestion is central to good health: dysfunction in this area starves the body of nutrients essential to its proper functioning. Poor digestive health usually results from imbalanced digestive secretions, infections, stress and anxiety. 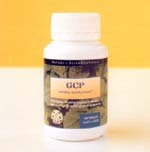 GCP combines the properties of three important and effective herbs for your improved digestive health ... garlic, capsicum and parsley. 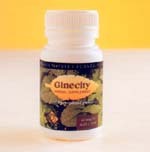 Neways' Ginecity is a refreshing combination of the roots of four types of ginseng, all widely regarded for their therapeutic qualities: American ginseng; Sanchi ginseng; Korean red ginseng and Siberian ginseng. Neways' Ginecity may assist blood circulation and acts as a liver tonic to help you recover more quickly from the after-effects of a hectic social schedule. It will also help to support your self esteem and self confidence. As we age the Glucosamine production within our bodies decreases. This reduction is considered a major factor for the development of osteoporosis and osteoarthritis. Neways Glucosamine has been created from two powerful and effective supplements, Glucosamine and Cat's Claw. Both of these supplements have been known to be instrumental in providing temporary relief of the symptoms of aches, pains, joint inflammation, joint immobility and swelling, generally associated with arthritis. Glucosamine helps to maintain healthy cartilage levels which assists joints to stay comfortable, lubricated and supple. The herbs contained in Neways Migraleve can help to relieve the pain and symptoms of headaches, neuralgic or tension headaches, migraine (temporarily), cluster headaches and caffeine-withdrawl headaches. Feverfew, especially, is highly regarded by both scientific and traditional medicine for its ability to temporarily help ease the pain associated with migraine. Increase your stamina and endurance and perform in peak condition! Ming Gold is a potent herbal formula which harnesses the power of its healthful ingredients, especially Cordyceps sinensis, to provide increased stamina and endurance, helping active people to perform in peak condition. 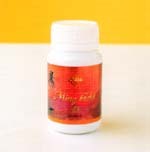 Ming Gold is suitable for men and women in any physical condition. Many world class athletes including runners, kyakers, boxers, pentathletes, triathletes, wrestlers, swimmers and judo champions use Ming Gold as part of their fitness program to ensure peak performance. We believe it to be the most exceptional supplement of its kind available in the world. 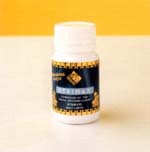 Ming VMM helps relieve the symptoms of coughs (including bronchitis), colds, catarrh, influenza and its associated fever. 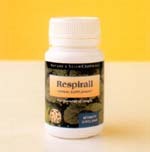 Provides relief from the inflammation, pain and discomfort associated with tonsillitis and laryngitis. VMM also helps you to cope with the stress and sleeplessness often associated with illness and helps to maintain a healthy digestive function to assist recovery. After illness continue to take VMM to aid convalescence. For optimum results, discontinue use for three to five consecutive days each month. 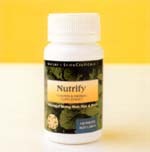 Nutrify is a combination formula designed to help fortify the health and appearance of hair, skin and nails. This nutritious blend of herbs support healthy circulation, especially to the scalp and fingertips. Its supply of vitamins and minerals enhances the body's absorption of the nutrients vital to the production of strong hair, nails and healthy skin. 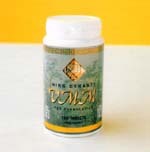 High potency multi-vitamin and mineral supplement. Although nutritionists agree food is the best source of these nutrients, always meeting your daily needs ... through diet alone ... can often be difficult. This is especially so when you consider today's hectic lifestyles where too little exercise, rushed meals and improper sleeping habits are becoming more common place. This can result in a gap between the vitamins and minerals your body needs and actually gets, to maintain good health. 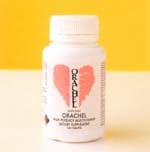 Orachel, the original high potency vitamin and mineral supplement, is designed to help you look after your most valuable asset ... the body you live in. Neways believes every child deserves the best in health. Growing children need a variety of essential vitamins, minerals and antioxidants to support their rapid growth cycles. They often don't get enough of these vital nutrients in their diet to support the heavy demands of these years. To ensure your children are meeting their nutritional needs you may need to supplement their diet with vitamins and minerals. 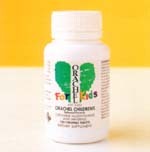 Orachel for Children has been developed as a chewable daily dose of essential vitamins, minerals and antioxidants especially designed for your growing child ... and your peace of mind. Orachel Plus is an effective combination of multivitamins and minerals in supplement form with the added advantage of specially selected herbs and the most powerful antioxidants known today ... all in the one tablet. In our "instant living" lifestyle, where most things are available at the touch of a button, Orachel Plus is there to take care of the basics. It provides you with a basic dose of antioxidants, essential vitamins and minerals, including some in chelated form, to supplement your diet when your nutritional intake could be inadequate. 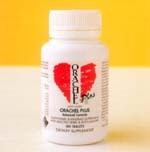 Orachel Plus ... the advantage is yours for the taking. Nutrition for your eyes! Every day we subject our eyes to a host of enemies - fluorescent lights, computer screens, sunlight, smoke, wind, pollen and dust. Without proper nourishment to help compensate for the damaging effects of daily living our vision could become compromised. Neways has formulated Orbitol with a rich blend of herbs, vitamins and minerals to assist in maintaining healthy eye function and help relieve the symptoms of visual fatigue and eye strain. Nourish your eyes with Orbitol and continue enjoying the rich beauty of life. Neways' Releaze supports the intestinal system by promoting a cleansing effect that rids the body of waste. Senna helps maintain normal digestive function and eliminatory processes. Fennel seed and Ginger support the health of the stomach and intestines while Catnip helps soothe intestinal bloat. Natural relief for the symptoms of menopause. Traditional herbalists having long used natural ingredients to provide symptomatic relief from menopause. 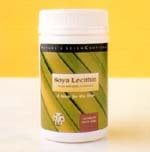 Neways has taken this traditional knowledge and used it to create Resoya. Each of the four powerful ingredients contained in Resoya has long been known for its individual action in relieving the symptoms of menopause. 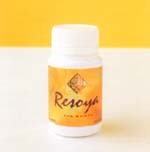 Resoya brings them together to give you the best in menopause relief. For the relief of coughs. Through every day our respiratory system is constantly exposed to smoke, soot, dust, dirt and other micro-organisms in the air. It is no surprise that in our every more polluted world we often face such respiratory problems as sinus congestion, catarrh, allergic reactions, hayfever and bronchitis. Herbal remedies, like Respirall, aim to care for the lining of the eyes, ears, sinuses, nose and throat, as well as the respiratory "tree" of the lungs by clearing catarrh, soothing the mucous membranes, relieving inflammation and other symptoms of allergic reactions. Free radicals may be generated by lifestyle factors almost everyone is exposed to, such as chemicals, excess dietary fats, cigarette smoke, alcohol consumption, pollutants and stress. 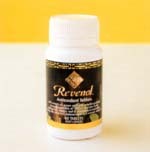 Revenol contains a unique blend of antioxidants working together to counteract the negative effects of free radicals. Just as one vitamin or mineral is not the key to total health, one antioxidant alone is not the key to effective free-radical elimination. 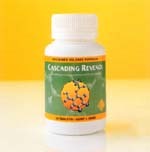 Cascading Revenol provides the incredible strength of the most superior antioxidants in the world, all in one bottle. These antioxidants and not only provided in the doses you need, but also in a unique sustained release formulation that will provide you with the tremendous regenerative technology of antioxidant cascades. This means you get the maximum benefit from these superb free radical scavengers. For men 45+. 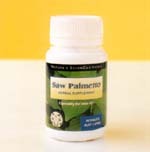 Saw Palmetto has long been traditionally known as the "man's herb" or "old man's friend" and is especially useful for men 45 years and over. It is used as a herbal alternative tonic to assist in maintaining proper blood circulation. This helps to balance and support normal male physiology and function which can deteriorate with age. Chiefly used as a diuretic, it helps to improve urine flow. The urinary system often mirrors the health of an individual with symptoms increasing at times of stress and fatigue. 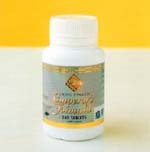 The chewable liver tonic with natural Vitamin E. The liver is the second largest organ in the body and one of the more complex in its actions. The liver has at least four functions which are absolutely vital to life: manufacturing, metabolising, storage and detoxification. In addition, because of the continual chemical activity involved in these processes, the liver provides most of the body's heat. The liver plays a very important role in our everyday lives, so it is best we look after it properly. Neways apple-flavoured, chewable Soya Lecithin with natural Vitamin E has a tonic and beneficial action on the liver and its various functions. Wild Mexican Yam - answers for better health! Uthinol, combined with a comprehensive weight management and fitness program, has the potential to help restore your natural sense of strength and well-being. 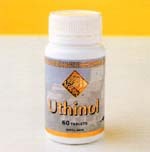 Neways' scientists have developed unique techniques to maximise the effectiveness of the herbal extracts contained in Uthinol. 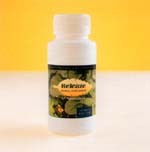 These herbal extracts have been formulated to produce a significant dietary supplement. The result is a formula designed to yield excellent results that quickly become self-evident to those who try Uthinol as part of an overall health and fitness program. Primarily assists in maintaining and improving your general health and well being ... throughout life.